« 2 Phase League- Points Table so far……. 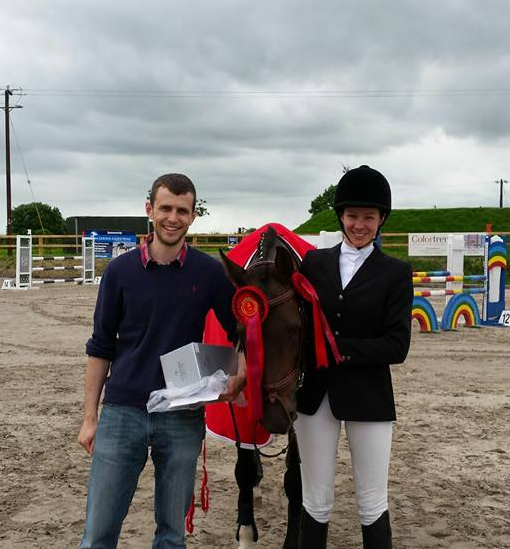 Huge congratulations to our long serving club member Sally Mahon & her wonderfully talented mount “lord” on their victory at the AIRC National Showjumping Championships in Mullingar yesterday. The pairing also claimed 2nd place in the Derby competition . It Looks like 2015 is definitely turning out to be a very successful year for Sally & Lord, after qualifying for the Team Showjumping at the RDS , she also claimed victories in the Open Dressage & Open Showjumping at the Riding Clubs Festival in June .